"IMpassion130 is the first phase III trial to show benefits with first-line immunotherapy for triple-negative breast cancer," said Peter Schmid, FRCP, MD, PhD, director of the Center for Experimental Cancer Medicine, Barts Cancer Institute in London, United Kingdom. "Atezolizumab with Nab-paclitaxel resulted in a statistically significant benefit for progression-free survival, both in the intent-to-treat population and in the PD-L1 positive population." The double-blind study evaluated the efficacy and safety of the PD-L1 inhibitor plus chemotherapy versus nab-paclitaxel alone in treatment-naïve patients with metastatic TNBC. The patients were randomized 1: 1 to receive nab-paclitaxel at 100 mg / m 2 intravenously on days 1, 8 and 15 of the 28-day cycle with 840 mg atzolizumab intravenously (n = 451) Days 1 and 15 of a 28-day cycle or with placebo (n = 451). Treatment was carried out until disease progression or unacceptable toxicity. The co-primary endpoints were PFS and overall survival (OS) in both the intent-to-treat (ITT) and PD-L1 positive populations; Secondary endpoints included overall response rate, response time and safety. Patients were stratified after prior administration of taxanes, liver metastases, and PD-L1 expression, which was at least 1% positive in tumor-infiltrating immune cells. Results of primary PFS analysis in the PD-L1 positive population showed clinically meaningful 7.5 months PFS (95% CI, 6.7-9.2) with atezolizumab / Nab-paclitaxel and 5.0 Months (95% CI, 3.8-5.6) with chemo (HR, 0.62, 95% CI, 0.49 -0.78; P <.0001), representing a reduction the risk of progression or death by 38%. In addition, 1-year PFS rates were 29% (95% CI, 22% -36%) and 16% (95% CI, 11% -22%) with atzolizumab / Nab-paclitaxel and Nab-paclitaxel, respectively. In the ITT population, median PFS with atezolizumab / Nab-paclitaxel and Nab-paclitaxel was 7.2 months (95% CI, 5.6-7.5) and 5.5 months (95% CI, 5.3-5.6) (HR, 0.80); 95% CI, 0.69-0.92; P = 0.0025). In addition, 1-year PFS rates were 24% (95% CI, 20% -28%) in the combination arm and 18% (95% CI, 14% -21%) in the Nab-paclitaxel arm. At 12.9 months follow-up, an interim OS analysis of the PD-L1 positive population showed a clinically meaningful improvement with additional atezolizumab at 25.0 months compared to nab-paclitaxel alone after 15.5 months ( HR, 0.62, 95% CI, 0.45) -0.86). Two-year OS rates were 54% and 37% in immunotherapy / chemotherapy and chemotherapy arms respectively. In the ITT population, the P value for OS was 0.040 (HR, 0.84, 95% CI, 0.69-1.02). Schmid emphasized, however, that OS was not formally tested in a statistical design. "For me, this is currently clearly a PD-L1 positive story – all the benefits were in the PD-L1 positive subgroup," explained Schmid. "Although the ITT group is positive, there is no advantage in looking at the subgroups in the PD-L1 negative group, there is no disadvantage, but there is no benefit in using [of the combination] in this [PD-L1–negative] Group justifies. " In order to qualify for enrollment, patients must have received metastatic or inoperable locally advanced TNBC without prior therapy for their patients with advanced disease with an ECOG performance status of 0 or 1. Premature chemotherapy in the curative attitudes, including taxanes, were allowed if the treatment-free interval was longer than 12 months. TNBC accounts for 15% of breast cancers. Those with advanced or metastatic disease generally have poor results compared to other breast cancer subtypes with a mean OS of 18 months or less, Schmid explained. Standard frontline treatment includes taxanes or anthracyclines, and no targeted therapies have improved OS so far, he said. The reasons for using checkpoint inhibition are due to how PD-L1 can inhibit the anti-cancer immune responses and is predominantly expressed on tumor-infiltrating lymphocytes in TNBC PD-L1. Nadia Harbeck, MD, PhD, Director of the Breast Center Englisch: www.cosmetic-business.com/en/showar…p?art_id=844 Meeting their view on the data with. "We currently have many patients with clinical trials on immunotherapy So far, we have not seen the tremendous impact of breast cancer on melanoma or lung cancer," Harbeck said. "This is the first time that we have conducted a Phase III study demonstrating that immunotherapy for triple-negative breast cancer improves survival, and I think this changes the way we train in triple-negative breast cancer becomes." The addition of atezolizumab (Tecentriq) to Nab-paclitaxel (Abraxane) reduced the risk of progression or death by 38% compared to nab-paclitaxel alone in patients with PD-L1 positive metastatic, triple negative breast cancer (TNBC). (19659002) "IMpassion130 is the first phase III trial to show benefits of first-line immunotherapy for triple-negative breast cancer," said lead author of the study, Peter, of IMPASSION 130 study at the ESMO 2018 Congress Schmid, FRCP, MD, PhD, Head of Center for Experimental Cancer Medicine, Barts Cancer Institute, London, United Kingdom. "Atezolizumab with Nab-paclitaxel resulted in a statistically significant benefit for progression-free survival, both in the intent-to-treat population and in the PD-L1 positive population." The double-blind study evaluated the efficacy and safety of the PD-L1 inhibitor plus chemotherapy versus nab-paclitaxel alone in treatment-naïve patients with metastatic TNBC. The patients were randomized 1: 1 to receive nab-paclitaxel at 100 mg / m 2 intravenously on days 1, 8 and 15 of the 28-day cycle with 840 mg atzolizumab intravenously (n = 451) Days 1 and 15 of a 28-day cycle or with placebo (n = 451). The treatment was carried out until disease progression or unacceptable toxicity. The co-primary endpoints were progression-free survival (PFS) and overall survival (OS) in both the intent-to-treat (ITT) and PD-L1 positive populations; Secondary endpoints included overall response rate, response time and safety. Patients were stratified after prior administration of taxanes, liver metastases, and PD-L1 expression, which was at least 1% positive in tumor-infiltrating immune cells. Results of primary PFS analysis in the PD-L1 positive population showed clinically meaningful 7.5 months PFS (95% CI, 6.7-9.2) with atezolizumab / Nab-paclitaxel and 5.0 Months (95% CI, 3.8-5.6) with chemotherapy (HR, 0.62; 95% CI, 0.49 -0.78; P <.0001). In addition, 1-year PFS rates were 29% (95% CI, 22% -36%) and 16% (95% CI, 11% -22%) with atzolizumab / Nab-paclitaxel and Nab-paclitaxel, respectively. In the ITT population, median PFS with atezolizumab / Nab-paclitaxel and Nab-paclitaxel was 7.2 months (95% CI, 5.6-7.5) and 5.5 months (95% CI, 5.3-5.6) (HR, 0.80); 95% CI, 0.69-0.92; P = 0.0025). In addition, 1-year PFS rates were 24% (95% CI, 20% -28%) in the combination arm and 18% (95% CI, 14% -21%) in the Nab-paclitaxel arm. 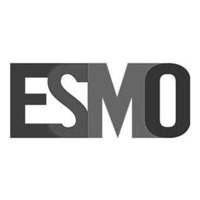 Schmid P. IMpassion130: Outcomes of a global, randomized, double-blind, phase III study of atezolizumab (Atezo) + Nab-paclitaxel (Nab-P) versus placebo + Nab-P in previously untreated, locally advanced or metastatic negative breast cancer ( mTNBC). In: Proceedings of the ESMO Congress 2018; October 19-23, 2018; Munich, Germany. Summary LBA1_PR.